So I am officially done with all of my bee blocks for March. I have yet to mail everything off so I literally have a suitcase worth of stuff to take to the post office tomorrow. 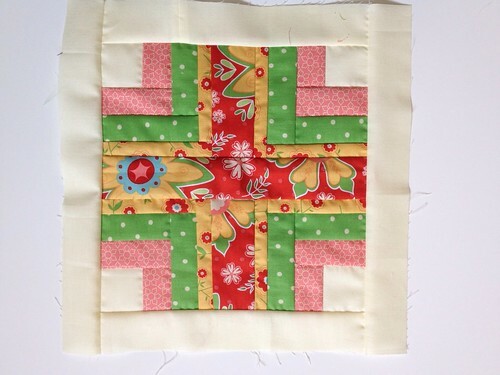 Here are my 2 blocks for the Sew Bee Joyful Bee for Jenna. She sent us the fabric and let us decide what to do with it. I decided to do two of the blocks out of my Modern Blocks Book. The first one I did was the ____ block. The next one I did was the ___ block. 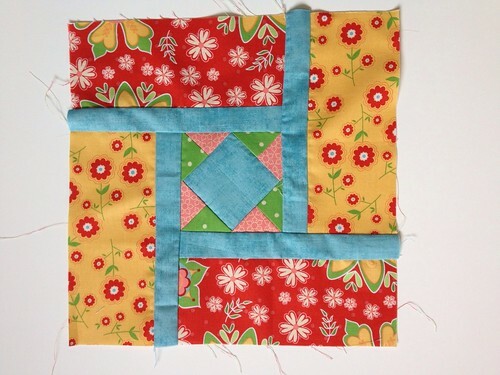 I have also been working on my first FMQ experience. 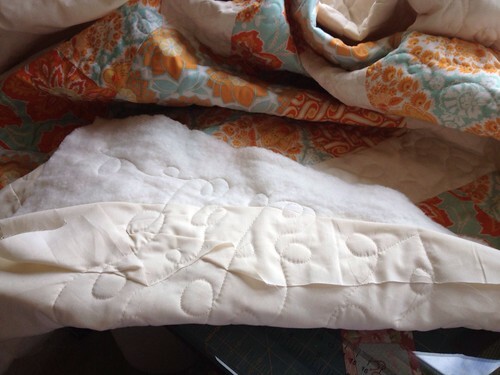 Luckily I have completed the quilting process and it wasn't near as bad as I thought it would be! Only one mishap. I will show you the finished product once I finish up the binding. That's my favorite part! Hi Colby! - I'm Jenn from Sewlandia and I have awarded you and your blog the Liebster Award :) Here is the link telling you what it is - and what to do next!